Weight 1 cart around 300 kg. 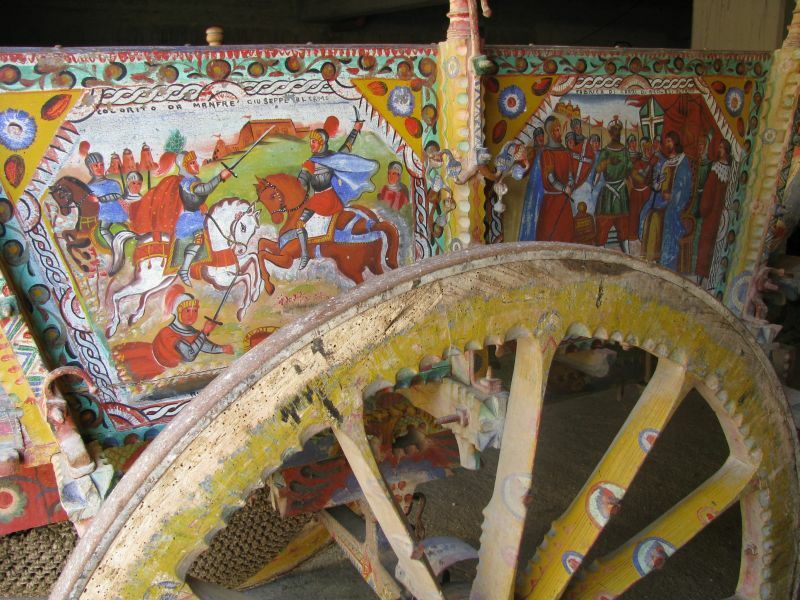 All carts are decorated with the heroic deeds of the paladins of France or other scenes with angelic. There is also the possibility of other assort the whole collection of old agricultural tools and accessories such as plows construction, Sickles, etc.….. in the description of the wagons is necessary to specify all of which are ancient building, some more than 90 years as evidenced by reading the date of decorations and wood carvings of the wheels is the ash, The wood used for the auctions is the beech. 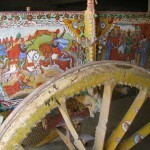 The wheel is cast iron and a cart that has carvings and wrought iron work.